success in each country it has raced in since its debut in 2012. McLaren has a strong legacy of race results in North America, claiming a record 43 race victories and five championships in the Can-Am series between 1967 and 1971, and three wins at the legendary Indy 500, in 1972, 1974 and 1976. During a successful 2013 season competing in each championship, the 12C GT3 accounted for 23 victories, a further 39 podiums, 27 pole positions and 3 championship titles. Former PWC champions, K-PAX Racing will compete in the 16 races across nine dates this season with two examples of the 12C GT3. Driven by Alex Figge, a veteran sports car driver who has claimed five PWC race victories in the last three seasons and Robert Thorne, a talented driver who most recently won a class championship in the 2012 U.S. Touring Car Championship. "Firstly, I would like to welcome K-PAX Racing as the latest team to join the McLaren GT family. This season is shaping up to be another exciting year, and it is great to see the 12C GT3 making its debut in North America. Our customer teams have been extremely successful over the past two years in each series they have contested, and we are looking forward to seeing the McLaren name competing on some of the best circuits across the region. K-PAX Racing has a formidable record in the Pirelli World Challenge and we are excited by the prospect of working closely with them," said Andrew Kirkaldy, McLaren GT Managing Director. Jim Haughey, K-PAX Racing Team Owner added, "The 12C GT3 has proved itself as a race and title winner in the various championships that it has competed since making its debut, and it is a real honour to be bringing the McLaren name back to North American race tracks with K-PAX Racing. McLaren has been at the front of the grid for 50 years, and we are looking to win races this season, maybe even win a championship, and add to the legacy." 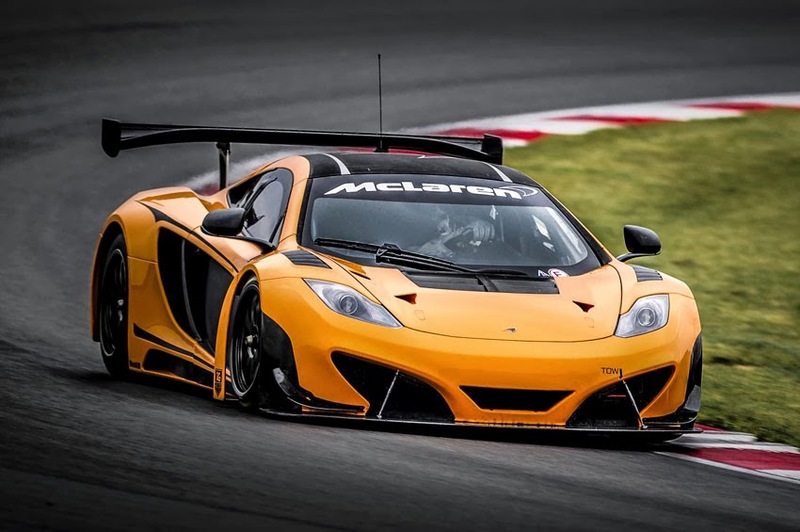 The competitive debut of the 12C GT3 with K-PAX Racing will be at the Firestone Grand Prix of St. Petersburg, which takes place March 28-30, 2014.